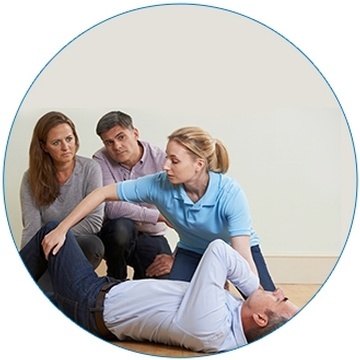 The Standard First Aid recertification course provides a review of first aid, CPR, and AED skills. Practical skills will be assessed through scenarios and knowledge will be assessed with written evaluation. Candidates should review the course content and practice their skills prior to the recertification course. It provides knowledge of how the heart works and what goes wrong when defibrillation is required. Candidates will learn when and how to operate a public access defibrillator. Prerequisite: The date on the original certification card MUST BE LESS THAN 3 YEARS from the date of the recertification course the candidate plans to attend – if it is more than 3 years from the date on the card the candidate must attend A FULL COURSE. Proof of original certification must be presented at the course.